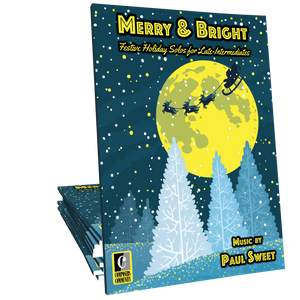 This showcase-style arrangement by Paul Sweet is sure to be a hit at your next holiday recital. Jaunty rhythms and a Celtic flavor make this a thrilling dance for the fingers! Hands down, my favorite arrangement of "I Saw Three Ships". My students love the rhythms and octaves! Really fun Arrangement, both myself and my students love playing this. What good fun!!!! I'm trying to decide between this piece or your arrangement of "O Come All ye Faithful" as the piece I will end my student's Christmas recital with. I always play something at the end, and this would be wonderful!